“We wanted our wedding to feel super authentic and to really capture our personalities, so we decided on an outdoorsy, modern theme with an ethereal vibe. The brewery was the perfect venue for this with a modern exposed wood interior and a beautiful outdoor beer garden where the ceremony took place. 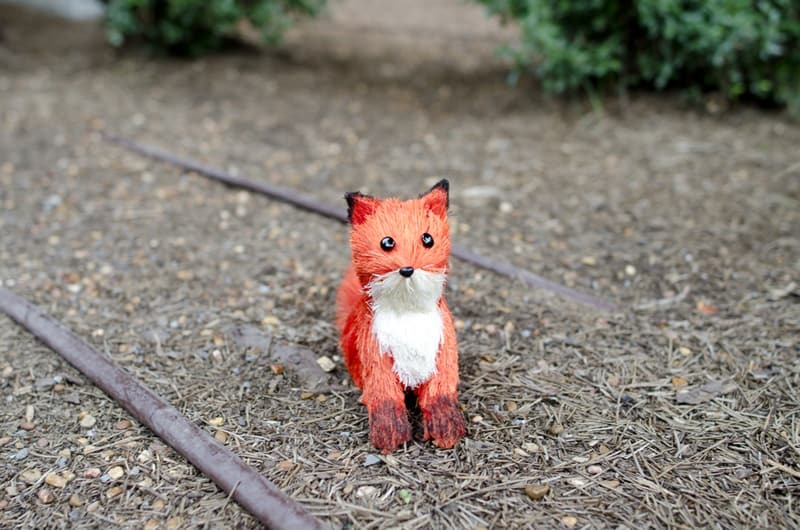 With the help of friends we created woodland terrariums with succulents and as I’ve always loved cute woodland critters, we placed tiny foxes, deer, bunnies and squirrels in the terrariums and scattered them throughout the beer garden. We got most of the glass vessels and the arbor from Old Time Pottery for cheap and decorated them with burlap, moss, and fresh flowers. Our lanterns came from Oriental Trading and we had a friend cut wood slabs for the cake stand and to give dimension to the terrariums on the tables. We ordered animal masks from Etsy along with the personalized wooden tags that we attached to our succulent favors. Oh my! Just adorable, bride looks magnificent. Thanks so much for featuring our big day on your wedding blog- So exciting! I did want to add that the cake was made and decorated by our friend Erin Hall and that hair/makeup was done by Lisa Myles of Happy Hair by Lisa. The pleasure was all ours Erin! Thank you so much for your sharing your day and I will get those added to the credits for you! Happy 2015! Love the theme of this wedding! Beautiful!